You’re in need of a tooth extraction, but you don’t want to endure excruciating pain. 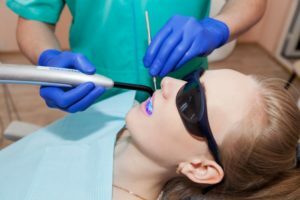 Your sedation dentist in Corbin says with the advances in dentistry, there is no need to fear any discomfort, but which form of sedation dentistry is your best option? The professional provides details about IV sedation and how it can benefit you. The last thing a dentist wants to do is remove any of your teeth. That’s because each of them plays a vital role in maintaining your jaw health. However, there are times when an extraction is the only option. It’s natural, then, to have some concerns about whether you’ll have to deal with any discomfort during the procedure. With IV sedation dentistry, though, you can rest assured that you’ll have a painless process. Before your tooth extraction begins, IV sedation will be delivered by a dentist trained and certified to provide this type of care. Because the medication is delivered intravenously, the effects are felt almost instantaneously, leaving you more relaxed and comfortable. If the thought of a needle being used causes anxiety, then your dentist can first administer nitrous oxide, which is a lesser form of sedation that is delivered via a mask. Its calming effects will help to ease your nerves. Who Benefits from IV Sedation? It is more cost-effective than general anesthesia. It doesn’t render you completely unconscious, yet it provides comfort and relaxation. The process is made safe because the medication is delivered by a trained professional. The dosages can be regulated throughout your treatment as needed to ensure the most comfort. The recovery time is much less than with general anesthesia and oral sedation. Before making a final decision on which type of sedation to request, you should be sure to ask your dentist what options are available for sedation dentistry. It’s also a good idea to make sure that the professional is trained to deliver this type of care. Finally, it never hurts to ask how sedated you’ll be. This is important because you’ll need to make plans for the appointment. For example, you may need a driver, and you’ll need to determine whether it will be safe to return to work. A tooth extraction in Corbin is not your idea of a fun outing, but with sedation dentistry delivered properly, it doesn’t have to be a dreadful event. Reach out to your local dentist to learn more about the process. Dr. Katherine Whitaker earned her dental degree from the University of Kentucky College of Dentistry. The only dentist within a 40-mile radius who offers this type of care, she received her certification in IV sedation from UAB. Dr. Whitaker performs tooth extractions in a comfortable manner with sedation dentistry at Corbin Family Center, and she can be reached for more information through her website.